Pledge documents before the device can be issued to individuals. The device, device charger, and a protective case or sleeve/bag will be returned during the final week of school. If a student transfers out of the Nampa School District during the school year, the device and accessories will be returned at that time. 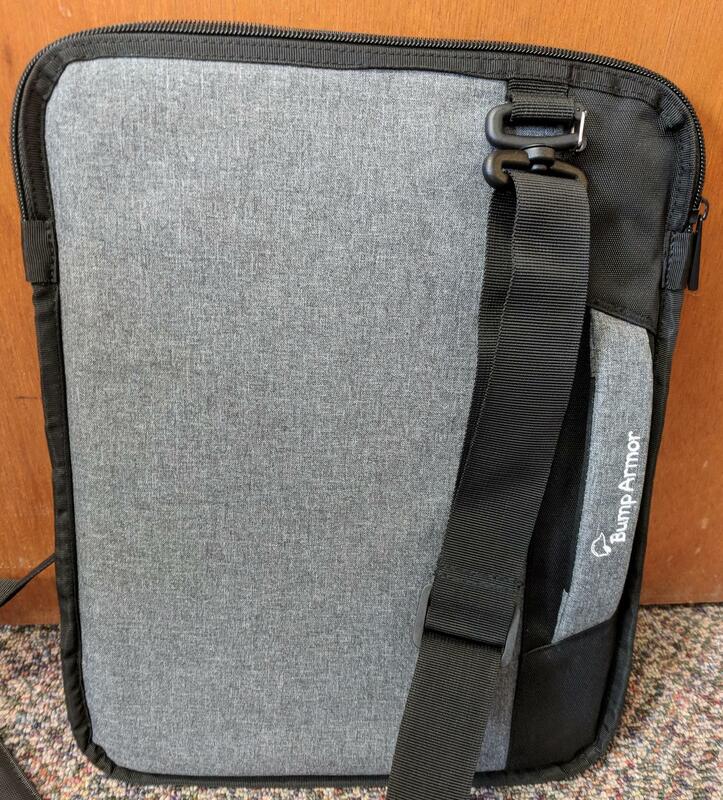 Individual school device, device charger, and a protective case or sleeve/bag must be returned during specified check-in times at the end of the school year. 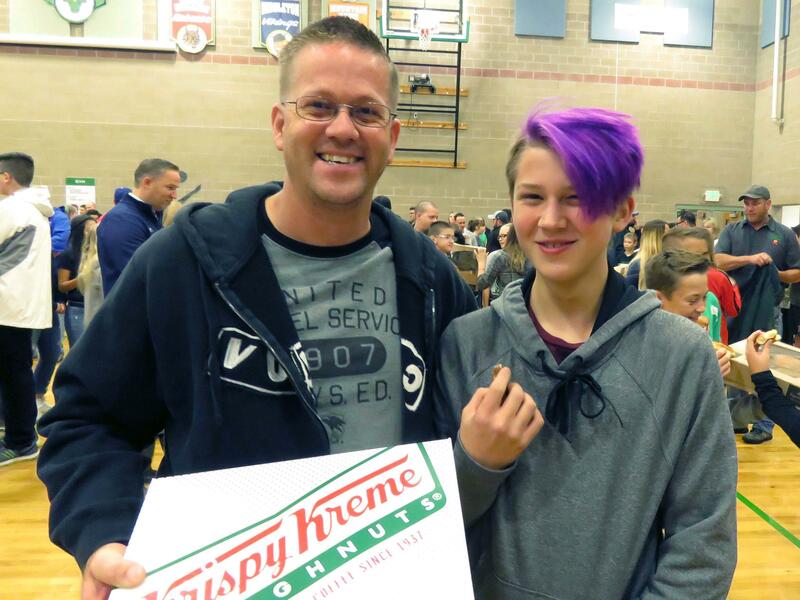 Students who transfer to another school, withdraw, are suspended or expelled, or terminate enrollment in the Nampa School District for any other reason must return their individual school device and accessories on the date of termination. If a student/parent guardian fails to return the device at the end of the school year or upon termination of enrollment, that student/parent guardian will remain liable for the cost of the device similar to a band instrument, books, or other items loaned by the school. Furthermore, the student/parent guardian will be responsible for any damage to the device, consistent with the NPL Acceptable Use Agreement, and must return the device and device charger in satisfactory condition. *Damage will be covered according to insurance policy. Students are responsible for the general care of the device they have been issued by the school. Devices that are broken or fail to work properly must be taken to the designated spot at each school site for an evaluation of the equipment. Students will be provided a cover or protective sleeve/bag for their device. If students choose to provide their own cover or sleeve, they will need to meet the case specifications in Section 2.2. The device is school property and all users will follow the NPL Acceptable Use Agreement and applicable Board policy. Only use a clean, dry soft cloth to clean the screen—don’t use cleansers of any type. Students may personalize their device with stickers except on the device screen, keyboard, touchpad, and district asset label(s). Students are responsible for keeping their device secured at all times and never left unattended. When not in your personal possession, the device should be in a secure, locked environment. Unattended devices will be collected and stored in the school’s main office. etc. to protect the devices during extracurricular activities. Students are responsible for charging their devices at home in preparation for each school day. Students should label their charging cable and accessories with their name and are advised not to loan out their charging cables or accessories to friends or family members. Needs a protective padded carrying location. 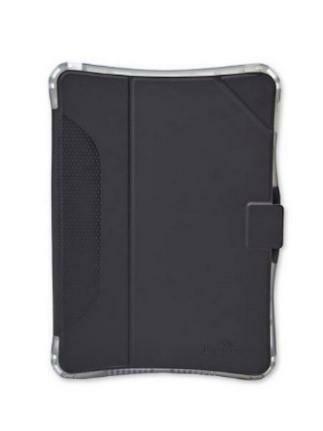 Your device should always be in its case and carried securely when it is outside of a school bag. 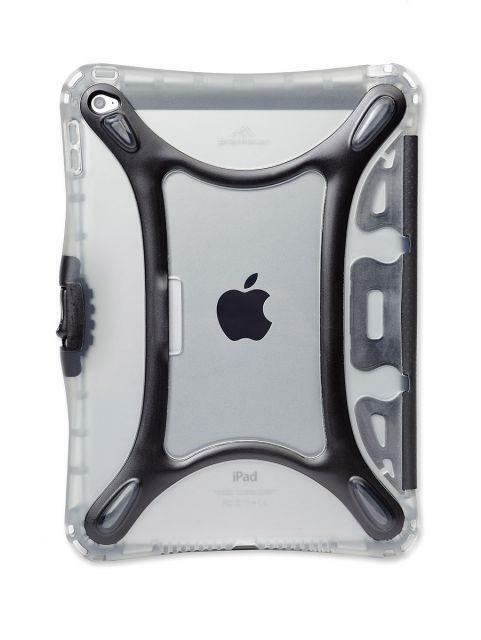 To protect the screen from damage, device screens should face towards the students backs when placed in their backpacks. Please be cautious when placing books, folders, pens, pencils and other items near or on your device. Avoid placing too much pressure and weight on the screen. We recommend using a bag with several pockets to keep these items separated. Always place your device on top of a stack of books. The device screen can be damaged if subjected to rough treatment. The screen is particularly sensitive to damage from excessive pressure on the screen. To protect the screen from damage, device screens should face towards the students backs when placed in their backpacks. Do not lean on the device. Do not place anything near the device that could put pressure on the screen. Do not place anything inside your cover that will press against the screen. Each device will come with either a district provided case or protective sleeve/bag. Students are allowed to change the case or sleeve/bag of their device as long as it meets the specifications in section 2.2. Any Nampa School District label cannot be covered or remove. Stickers or labels can be applied directly on the device. However, stickers or labels must meet this Agreement’s requirements (see section 3.4) and may not be placed on the device’s screen, keyboard, touchpad, or asset label(s). Devices are intended for use at school each day. In addition to curricular expectations, school messages, announcements, calendars and schedules may be accessed using the devices. Students are expected to bring their devices to all classes, unless specifically instructed not to do so by a teacher. If students leave their device at home, they are responsible for completing course work as if they had their device present. A few loaner devices may be available for check-out through your school’s media center; however, availability is not guaranteed. Loaner devices may be issued to students when they leave their device for repair to the designated spot at each school site. Devices must be brought to school each day in a fully charged condition. Students need to charge their devices each evening. In cases of low batteries, students may be able to connect their devices to a power outlet in class or the media center during recess or lunch if a cord is available. Students should not loan their charging accessories to friends or family. Inappropriate media may not be used as a sticker, screensaver or background photo. Presence of guns, weapons, pornographic materials, inappropriate language, alcohol, drug, gang-related symbols or pictures will result in disciplinary actions. Sound must be muted or headphones used at all times unless permission is obtained from the teacher for instructional purposes. Game play is not allowed during school hours unless specifically connected to classroom curriculum, content and activities. Apps and digital content to support classroom learning will be provided by the Nampa School District. Students will not be allowed to add their own apps to these devices. Educational activities and storage use will take priority over personal use. The district reserves the right to clear the device of all personal sound, music, games or programs as needed for educational activities and storage. Students may not take photos or video of other students, staff, or anyone without their permission. The possession, forwarding, or uploading of unauthorized photos or video to any website, network storage area, or person is strictly forbidden. In addition, photos and video taken with the device may not be used to slander, bully or denigrate any student, staff member, or anyone on or off the campus at any time. Photos and video taken with the device are for educational purposes only and should be directly related to classroom assignments, projects, and areas of study. Any inappropriate use of video messaging services will result in disciplinary actions. should not have any expectation of privacy concerning their use of the device, including but not limited to website, apps/applications, or email content or browser history. While at home parent supervision of device use is expected. not lost due to mechanical failure or accidental deletion. Instructions on saving documents to Office365 will be provided in classes. If students leave their device at home, they are responsible for completing course work as if they had their device present. Storing your documents through the cloud help ensure this is possible. A few loaner devices may be available for check-out through your school’s media center; however, availability is not guaranteed. Nampa School District makes no guarantee their network will be up and running 100% of the time. In the rare case the network is down, the District will not be responsible for lost or missing data. for school-related activities. Student email accounts, and their content, are property of the district and are subject to search at any time. The e-mail account provided to the student is created through the district’s Office365 domain. This domain is managed by the school district. The e-mail system is not to be considered private. Any messages sent or received through the system are available for viewing should they be requested or if there is deemed to be the need to view them due to an investigation by administration. Students should not have any expectation of privacy concerning their use of the device, including but not limited to website, apps/applications, or email content or browser history. Should a parent/guardian need to access their student’s email account, they can request access through the Nampa School District Information Services department. Use of the e-mail system for harassment, bullying or any other inappropriate use is not allowed and will result in potential disciplinary actions up to and including loss of privileges and suspension or expulsion. The apps and other resources originally installed by the Nampa School District must remain on the device in usable condition and be easily accessible at all times. From time to time the school may add apps for use in a particular class or subject area. Regular and periodic checks of devices will be made to ensure that students have not removed required apps and content. Students are not allowed to load extra apps and content on their devices. Any additional apps or content found on the device that violates any part of the NPL Acceptable Use Agreement will result in potential disciplinary actions up to and including loss of privileges and suspension or expulsion. 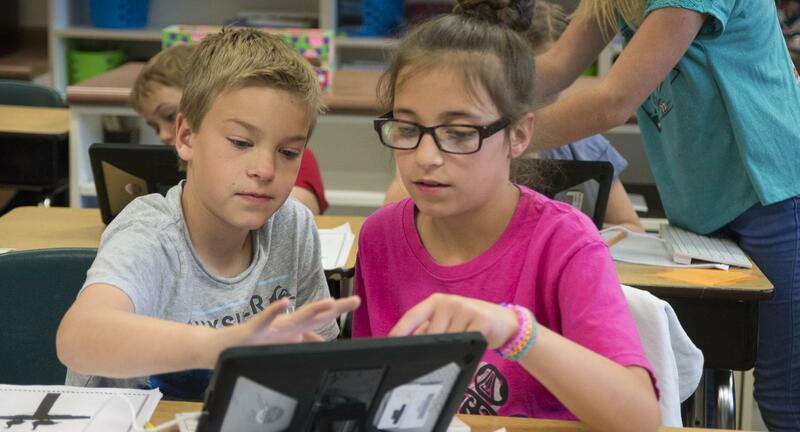 The Nampa School District will make sure that devices contain the necessary tools to complete school work. Recommendations for any app can go to a teacher for consideration. Students may be selected at random to provide their devices for inspection by any district employee. Students should not have any expectation of privacy concerning their use of the device, including but not limited to website, apps/applications, or email content or browser history. If technical difficulties occur the devices will be restored from backup. The Nampa School District does not accept responsibility for the loss of apps or documents, educational or personal, deleted due to a re-format and/or re-image. 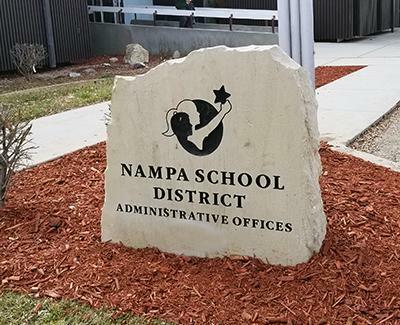 Upgrade versions of the operating system and apps are available from time to time and will be deployed by the Nampa School District as needed. Use of the Nampa School District technology resources is a privilege, not a right. 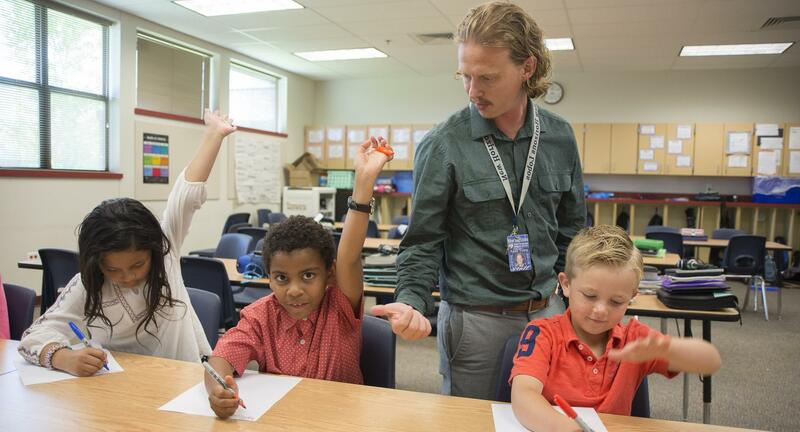 The privilege of using the technology resources provided by the Nampa School District is not transferable or extendible by students to people or groups outside the District and terminates when a student is no longer enrolled in the Nampa School District. This guide is provided to make all users aware of the responsibilities associated with efficient, ethical, and lawful use of technology resources. If a person violates any of the user terms and conditions named in this policy, privileges may be terminated, access to the school district technology resources may be denied, and the appropriate disciplinary action shall be applied. Violations may result in disciplinary action up to and including suspension/expulsion for students. When applicable, law enforcement agencies may be involved. If the device is not taken home, your student is still responsible for meeting course requirements. Any questions can be directed towards the building administrator. Provide Internet to its students at school. Provide Internet filtering of inappropriate materials. information stored on or transmitted via Nampa School District- owned equipment and to investigate inappropriate use of resources. Provide guidance to aid students in doing research/projects and help ensure student compliance of the acceptable use policy. Use devices in a responsible and ethical manner. Obey general school rules concerning behavior and communication that apply to device/computer use. Use all technology resources in an appropriate manner so as not to damage school equipment. This “damage” includes, but is not limited to, the loss of data resulting from delays, non-deliveries, mis-deliveries or service interruptions caused by the student’s own negligence, errors or omissions. Evaluate all content for accuracy and quality obtained using their device. Help the Nampa School District protect our computer system/ devices by contacting a staff person about any security problems they may encounter. If an email or other communication is received containing inappropriate or abusive language or if the subject matter is questionable, report it to a staff person immediately. 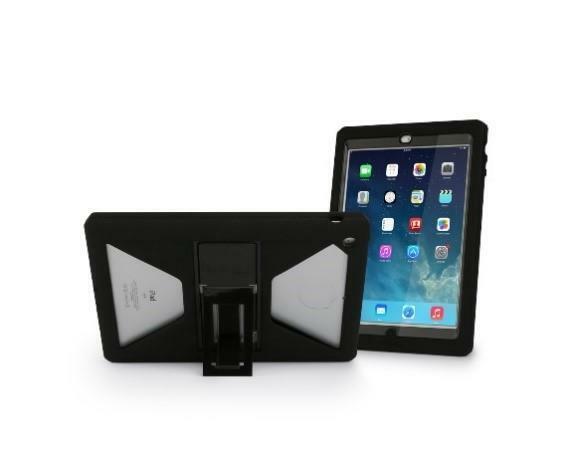 Return the device and accessories to the designated collection point for your site at the end of each school year. Students who transfer to another school, withdraw, are expelled, or terminate enrollment at Nampa School District for any other reason must return the device and accessories on the date of termination. Device shall not be left unattended and remain with them at all times. Giving out personal information, for any reason, over the Internet. This includes, but is not limited to, setting up Internet accounts including those necessary for chat rooms, Ebay, email, etc. The possession, forwarding, or uploading of unauthorized photos or video to any website, network storage area, or person is strictly forbidden. Device batteries must be charged and ready for school each day. Only labels or stickers approved within this agreement (see section 3.4) may be applied to the physical device. Device cases can be personalized, please see section 2.5 for guidelines. You cannot remove or cover Nampa School District device stickers. Devices must be in a district approved cover at all times. Devices should be protected from extreme heat or cold, pets, and moisture. for costs to students and parents for damaged devices. Devices that are stolen must be reported immediately to the Nampa School District administration, district Information Services office (208-468-4777) and/or the Nampa Police Department non-emergency number (208-465-2257). Plagiarism is illegal. Give credit to all sources used, whether quoted or summarized. This includes all forms of media on the Internet, such as graphics, movies, music, and text. Use or possession of hacking software is strictly prohibited and violators will be subject to applicable state or federal laws that may result in criminal prosecution or disciplinary action by Nampa School District. If a student violates any of the user terms and conditions named in this policy, privileges may be suspended or terminated, access to the school district technology resources may be denied, and the appropriate disciplinary action shall be applied. Violations may result in disciplinary action up to and including suspension/expulsion for students. When applicable, law enforcement may be involved. When not in use, devices should be stored securely. Nothing should be placed on top of a device when stored in a locker, desk or bag. Devices that are left in school lockers or PE lockers overnight are still the student’s responsibility. Devices should not be stored in a student’s family vehicle at school or at home. Under no circumstances should devices be left in unsupervised areas. Unsupervised areas include the school grounds and campus, the lunchroom, computer labs, bathroom, locker rooms, library, unlocked classrooms, hallways, and unlocked lockers. Any device left in these areas is in danger of being stolen. 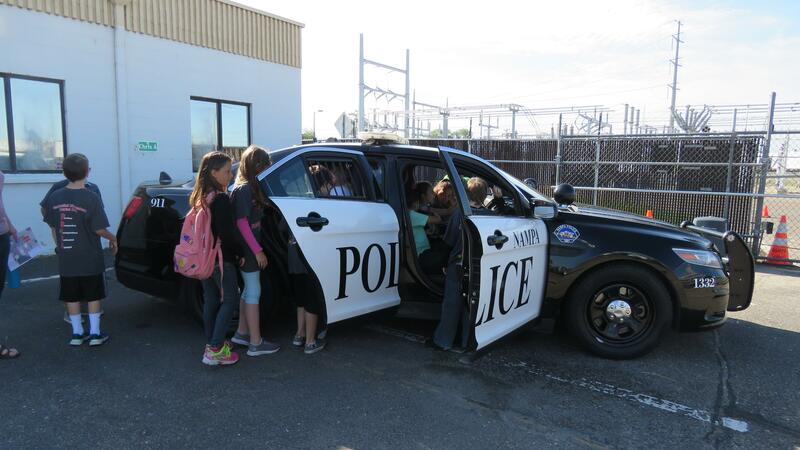 If a device is found in an unsupervised area, including an unlocked locker, it will be taken to the school office. Students will be held responsible for ALL damage or loss to their device, device charger, and protective case resulting from negligence or misuse. This includes accessories not covered by warranty including, but not limited to broken screens, cracked pieces, inoperability, etc. In the event of damage not covered by the warranty, the student and parent will be billed for the cost of repairs. Repairs must be made by the Nampa School District Information Services Office. The student will check in/ check out a loaner device until repairs are made (unless damage is due to gross negligence, intentional destruction, or willful misconduct – administration will then determine device use for the student). FIRST INCIDENT: After you review the device care and security sections of the NPL Acceptable Use Agreement with your building administrator, you may be issued a replacement device, if one is available. Your building administrator will take into account the situation that led to the damage or loss. This may result in limiting your device use to in-school only, for a period to be determined by your administrator. You still will be required to complete all school assignments, and your teachers will make reasonable accommodations as needed. You and your family may be held responsible for the full cost of repair or replacement. SECOND INCIDENT: You may be restricted to use a device only at school, and the device must be checked in and out with the assigned building staff at the beginning and end of the school day. You may not be allowed to take the device home until you and a parent or guardian meet with a building administrator and agree to a plan for preventing the loss or damage in the future. You may face school disciplinary actions. You and your family may be held responsible for the full cost of repair or replacement. THIRD INCIDENT: You will be allowed to use a device only at school, and the device must be checked in and out with the assigned building staff at the beginning and end of the school day. You will not be allowed to take the device home for the remainder of the school year. You may face school disciplinary actions. You and your family may be held responsible for the full cost of repair or replacement. If you fail to return the device and/or related components at the end of the school year, upon withdrawal or when directed to do so, the device and related components will be considered stolen property. In that case, the district will not release your records and will file a police report. You must return the district-provided charging accessory and protective case/sleeve, and any other device related items issued by the district when you return your device. The Nampa School District strongly recommends that you purchase insurance for your child’s device and the school district offers optional yearly insurance. If you have homeowner’s insurance or rental insurance, you may also be able to add a device to your insurance. Please note families are responsible for replacement if you choose not to purchase insurance and your device is lost, stolen, damaged outside of acceptable use, etc. Insurance for the device is a yearly cost.